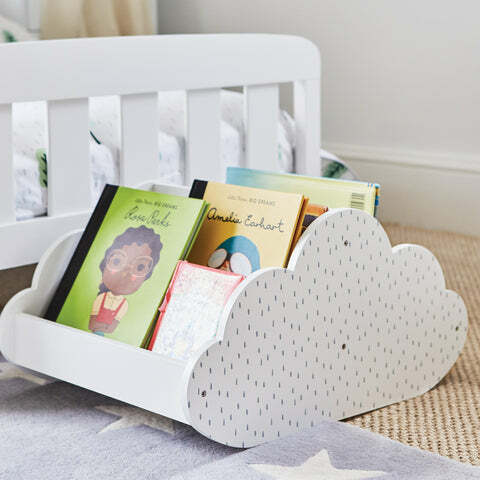 Cloud Book Holder | Great Little Trading Co. 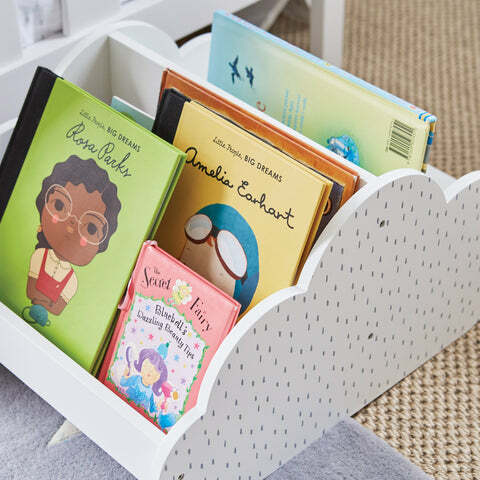 This gorgeous book storage keeps books tidy and easy to find in the most lovely way; the calm and gentle design makes it perfect for nurseries and bedrooms. All our furniture is designed for childhood but built to last way beyond. This sturdy bookcase is no exception; we've tested it thoroughly to make sure it's topple-proof and kind to little hands.